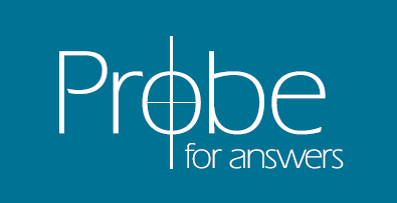 I enjoyed reading your article entitled “Evidence for God’s Existence” on probe.org. I found it to provide interesting insight. I found your comments regarding a “just right” earth particularly intriguing. You stated that our “just right” planet is clear evidence that is was created by “a loving God.” As someone who has witnessed the fury of mother nature more than once, I am compelled to ask — do you include volcanic eruptions, floods, tidal waves, and earthquakes in this “just right” view of God’s creation of the earth? I find it very hard to believe that this planet we live on is as “just right” as you portray. I have seen massive landslides that buried charities, churches, and brothels side by side without regard. I have seen so many God-fearing people struck by flood and other natural disasters that I cannot help but fail to understand how the earth can be so “just right.” Think about how many innocent children suffered for days, even weeks in immense pain and agony, buried under rubble in an earthquake, before finally dying. Are such tragedies really part of a “just right” design? I recent read a research paper from the American Oceanographic Institute regarding some really cool bacteria — they live 2 miles deep in the ocean near hot thermal vents in the ocean floor where no light has ever penetrated. The water temperature there reaches 800 degrees or more and contains highly toxic and poisonous chemicals (well – to humans at least). These conditions are not so different than you might find on other planets in our solar system. I know that one day we will land spacecraft on other planets and find, in the most hostile environment imaginable, living organisms thriving in places we never thought possible. Like you, I marvel at the intricacies of the world (and universe) we live in — it truly is a wondrous place. William Paley is well-known for his “watchmaker” theory — he, too, marveled at our universe and was so overwhelmed at it’s complexity that he said that someone MUST have engineered it — for it could not possibly exist without a designer. I offer you this challenge, then – let’s apply Mr. Paley’s own logic to God himself. Surely you will agree that God himself is far more complex and intricate than the universe is. By Mr. Paley’s logic, something so complex MUST have a creator. Therefore, someone or something MUST have created God, since such complexity cannot exit without a designer. I submit that Mr. Paley is simply a victim of someone in need of a reason — we all want to have a reason. Some of us can accept the fact that we don’t yet know where the universe came from. Others, like Mr. Paley, are so desperate to explain things that they will simply make something else up which is immune from question to explain that which they cannot. I say these things not to inflame you or attack you. I simply seek knowledge, thought, and interaction with people of differing viewpoints than my own. Perhaps one day I will come to agree, perhaps not. But I find that speaking to everyone I can, becoming their friend, and agreeing to disagree to be very fulfilling in my life. Hopefully you will take a few minutes to talk with me and we will both go our ways with a little more knowledge and insight than we started with. At the risk of belaboring the point, allow me to offer an illustration. My sister-in-law is an extraordinarily gifted cake decorator in Chicago, and I live in Dallas. She wanted to share one of her creations with me, and was told by a mentor that if she packed a cake with the right precautions, she could FedEx it to me and it would arrive intact. Apparently, the folks at FedEx didn’t know that, and when I opened the box it was a mess of crumbs and broken sugar flowers. It still tasted wonderful, and evidence abounded for its original beauty and glory, but it got ruined between Chicago and Dallas. Her heart sank when she learned what had happened to it, not only because of the waste but because her hopes for pleasing me with the cake’s original condition were dashed. I think it’s an illustration of how it grieved God for His beautiful earth to be ruined by the mishandling of the people into whose hands He had placed His creation to be good stewards, because their sin caused all manner of destruction not only between people but also on the earth itself. The fact that the cake was ruined after it left my sister’s hands didn’t detract one bit from the gifted design and skill that went into creating it in the first place. I still contend that God’s design is “just right,” even though the world doesn’t function as perfectly as it did when He first created it. Secondly, concerning the idea that someone or something must have created God: as you move backward in discerning cause and effect, there must eventually be an Uncaused Cause in order for anything to exist at all. At some point there has to be something or someone who has always existed who is responsible for causing other things to come into existence, because nothing comes into existence on its own. Thus, at some point there had to be an Ultimate Causer (or Ultimate Cause) that has always been here. Because if you can go “beyond God,” so to speak, to a time when there was nothing and no one in existence, then there would be no way for God to come into existence without a cause. There MUST be an Uncaused Cause. Hope this helps you to understand where I’m coming from! "This World is Far From Perfect"
"How Do You Develop an Apologetics Ministry Within a Church? ""Why Is There a Hell?"